Batman can defeat any foe, but can he stand up to the power of reading? Bookish Bat-foe Bookworm joins the lineup of resin mini-busts based on the Batman classic TV series! Played by Roddy McDowall, this mini-bust measures approximately 6-inches tall atop a pedestal inspired by the show's animated opening sequence. 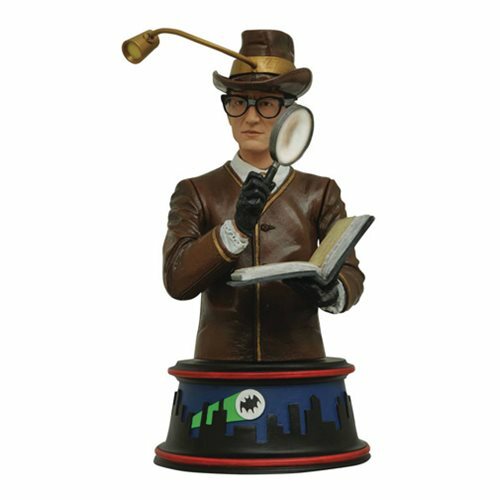 Limited to only 3,000 pieces and sculpted by Jean St. Jean, this Batman 1966 TV Series Bookworm Mini-Bust comes packaged in a full-color box with a certificate of authenticity.